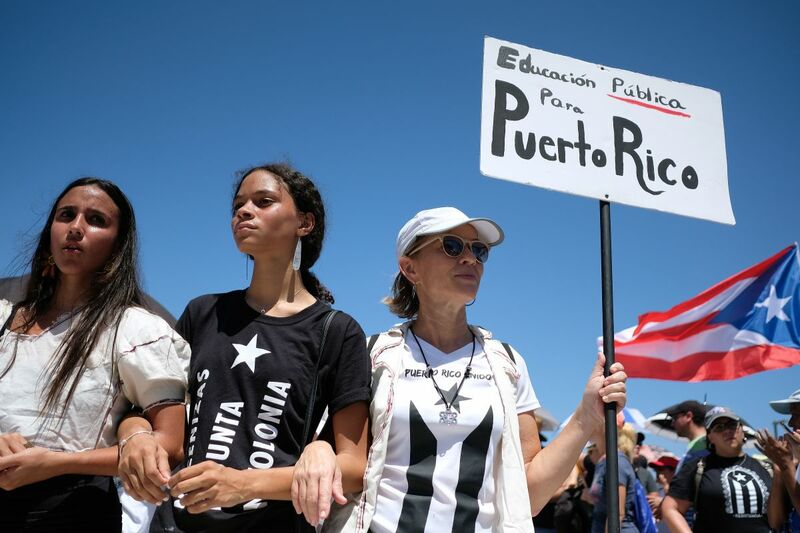 Teachers participate in a one-day strike against the government&apos;s privatization drive in public education, in San Juan, Puerto Rico, on March 19th, 2018. 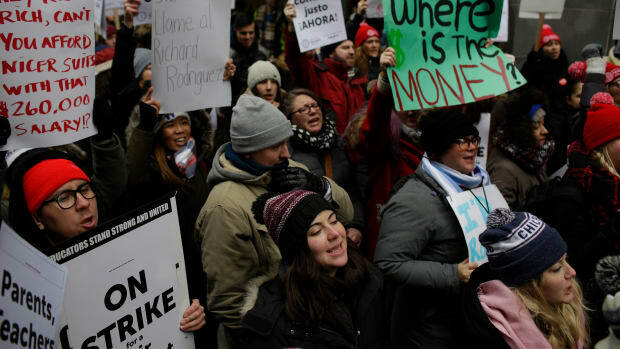 Educators from the Acero charter school network hold signs as they protest during a strike outside Chicago Public Schools headquarters on December 5th, 2018, in Chicago, Illinois. 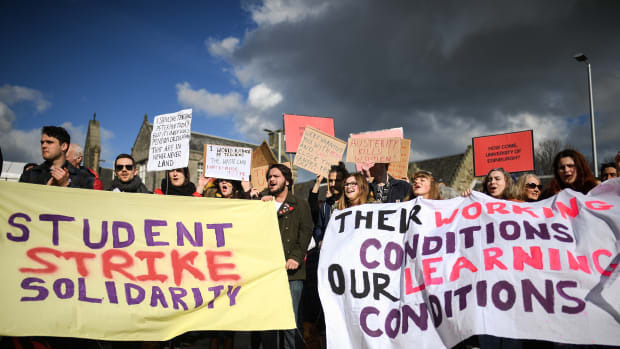 University workers attend a rally outside the Scottish Parliament on March 8th, 2018, in Edinburgh, Scotland. 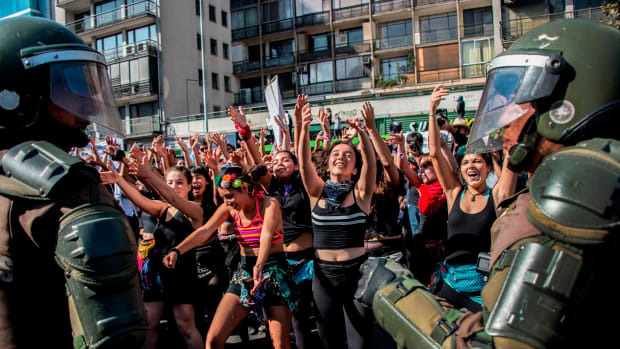 Students dance in front of riot police as they march to protest against the slowness in the progress of the Chilean education reform in Santiago on April 19th, 2018. 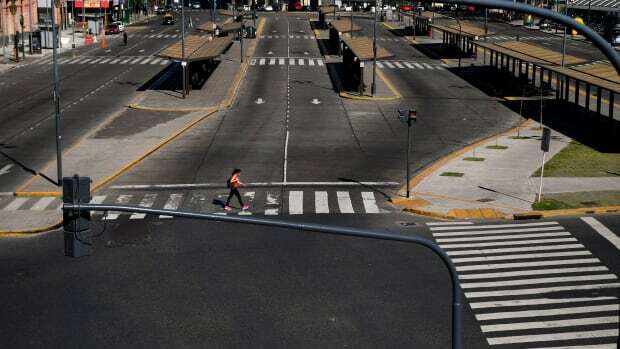 View of the Constitución train station and empty bus stops in Buenos Aires, Argentina, during a 24-hour general strike, on September 25th, 2018. 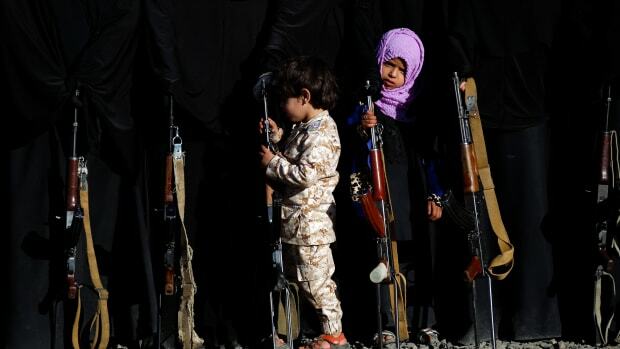 A Yemeni girl holds a rifle as she attends a gathering in Sanaa on January 14th, 2018, in support of the Houthi movement.